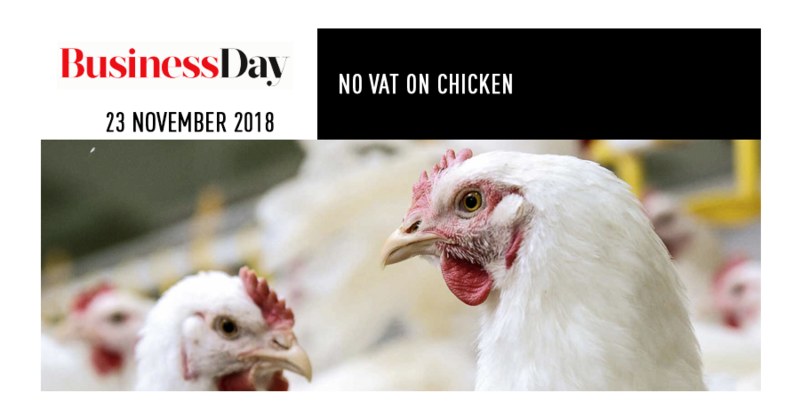 As the biggest producer of chicken in SA, Astral’s continued support for the campaign to zero-rate certain cuts of chicken for VAT is to be commended. Pressure on consumers has risen to critical heights in 2018, with multiple petrol price increases and the 1% hike in VAT, a burden that has the cruellest effect on the poorest citizens. Hunger is a reality in many households, and childhood stunting, brought on by chronic malnutrition, is at shocking levels – one in three children under the age of five, according to Child Gauge 2017. 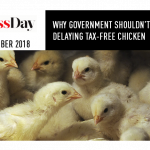 Exempting chicken from the 15% VAT that pushes a regular protein-rich meal out of reach for poorer households would be a great place to start in changing this. Finance Minister Tito Mboweni was delaying the inevitable when he failed to add chicken to the expanded VAT-free basket in October. FairPlay stands with Astral and others who believe that, rather than say that the fiscus can’t afford the loss in tax revenue, the government should be identifying the particular cuts of the protein source that is most relevant to lower income households and work out how to VAT exempt those. This is why FairPlay submitted another proposal on November 9, calling for the inclusion of chicken in the next round of considerations of the VAT-free basket.